NBC Connecticut is Connecting You to Joy with the Easter Seals Goodwill Industries' 22nd annual Fantasy of Lights! From November 18 through January 1, Lighthouse Point Park in New Haven is aglow with more than 100,000 glittering lights, brightening the night sky! You’ll be dazzled by this drive-through light display! Enjoy a scenic drive through a beautiful winter wonderland, accompanied by a special radio broadcast. Continue your family tradition or start a new one at Fantasy of Lights! 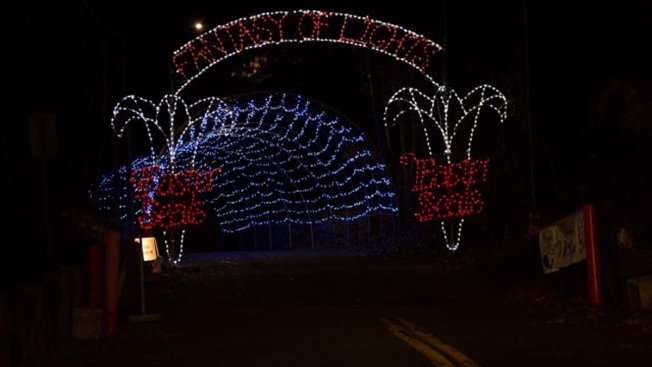 On Friday, Dec. 16, come on down to Fantasy of Lights for NBC Connecticut Night! Join the NBC Connecticut News team from 5 p.m. to 10 p.m., receive a free NBC Connecticut giveaway and Santa will be there too!